and second one was Lavender Oil. Both are from a brand "Ryaal". Ryaal's Oils are 100% natural and GMP Certified. Whenever, I decide to incorporate a new product in my skin care, I make sure that it should be of a really good quality. Ryaal's products are high on quality and safe to use. Ryaal offers a wide range of 100% natural essential oils like Tea Tree, Grape seed, Rose hip, Lemongrass, Orange,Peppermint etc to choose from. In today's post, I would be sharing some of the Benefits and Uses of Lavender Essential Oil. The first thing that comes into the mind after hearing the word 'Lavender Oil' is its beautiful aromatic and relaxing fragrance. No wonder it is also used in many of the Spa and massages. Lavender Oil's fragrance relaxes the mind and helps to reduce stress and tension. So, you can put few drops of it in your Oil Diffuser lamps before sleeping, in your room and it will surely help you to get that relaxed sleep. Apart from Oil Diffusers, few drops of Lavender Oil can also be sprinkled on your pillow to get a proper sleep. It helps to cure insomnia. Lavender oil is highly recommended to use in your hair oils, hair masks, face packs and DIY etc for some added advantage. If you use bath salts, you can add some drops of Lavender oil also to moisturize your skin as well relax yourself. 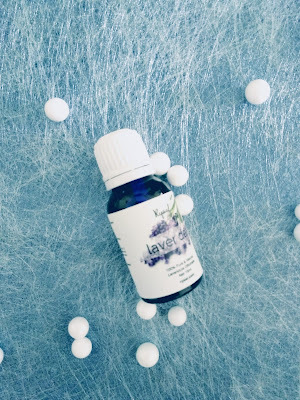 Lavender Oil is highly used in Potpourri as its beautiful fragrance helps to remove the bad odor from the environment and spread a soft fragrance all around. Lavender Oil is also known for its usage as an mosquito repellent. 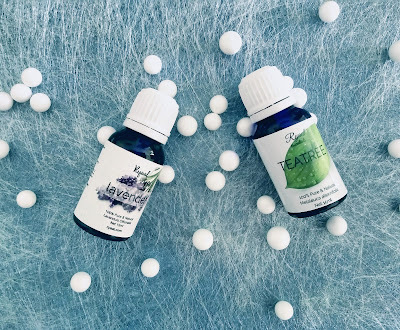 If you are planning a camping or a trekking trip, make sure you apply some of the Lavender oil on your exposed part of the body and it will help you to stay away from the mosquito bites. It is a very efficient insect repellent. Now a days some of the brands have come up with Lavender facial mists since Lavender oil helps to nourish your skin and has anti inflammatory properties. It also has anti bacterial properties so it helps to kill all the germs and bacteria of the skin and make it more healthy and glowing. Lavender Oil can also be used to get a relief from joint pains and sprains. Lavender Oil has anti aging properties. A regular usage of it can help to reduce the fine lines, age spots and can make skin more youthful and supple. So, Friends, these are just few of the never ending list of the benefits of Lavender oil. Hope this post was useful and interesting.